Encourage well-designed outdoor playtime with these picks from the Dwell Store. Featuring multipurpose toys from Kid O, an Adirondack chair in a rainbow of colors, and an inspired kite, this product assortment will keep kids happy this summer from the backyard to the beach. Kid O’s Ballo Water Bucket is a fresh take on a fetching a pail of water. The spherical bucket is soft to the touch and includes an easy-to-grip handle. The toy can be used at the beach, in the bath, or in the garden. The Stack and Nest Toy from Kid O is a versatile piece that can be used to build, fill with water or sand, and nest together to create a star-shaped pattern. It can be used for both indoor and outdoor play, so it will still be a favorite even after it’s time to leave the beach. Designed to echo the style of an adult Adirondack Chair, the Kid’s Adirondack from Loll Designs is perfectly fit for a child. Available in a wide range of colors, the chair is a great outdoor seating choice for a patio, garden, or lawn. The Triplet Toy from Kid O is a shovel, sifter, and rake, all in one. 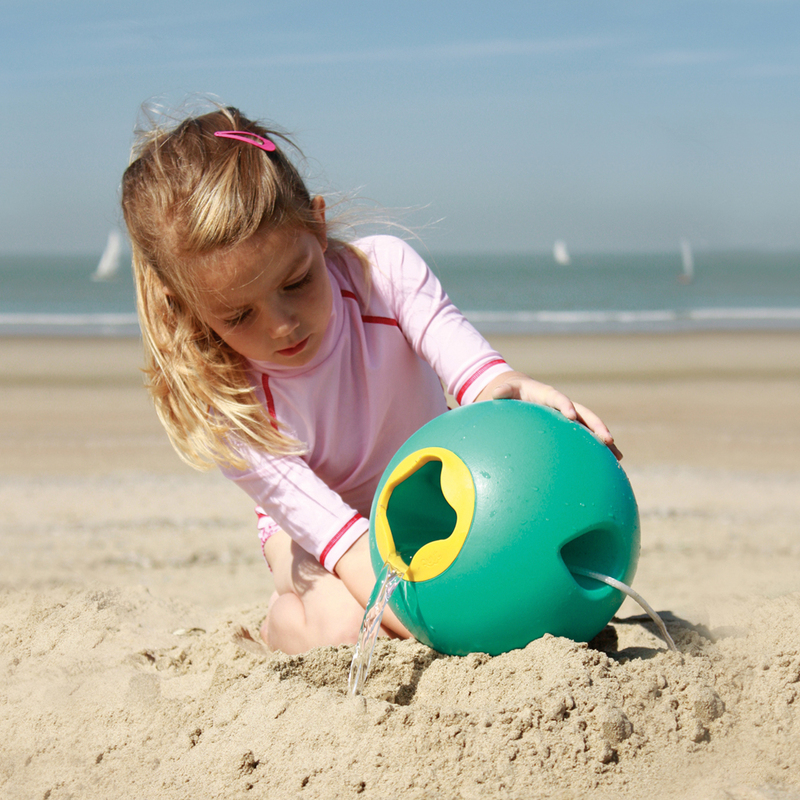 The multifunctional toy is a perfect companion for playing at the beach. The Sailing Ship Kite from Brooklyn–based Haptic Lab is an eye-catching, handmade kite inspired by historic sailing vessels. The whimsical piece will standout among traditional kites on a summer day at the park.